Terri, this is so elegant and beautiful. The image is really gorgeous. And so is your background. Wow, this is sooo gorgeous!!! I adore that image too Terri, you used it SO beautifully, every detail is lovely! 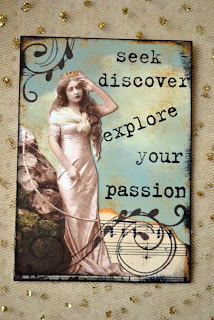 This is a gorgeous ATC--you are so talented, Terri! I love this image! You did a great job with it! WOW This is really a great picture! love everything you did! Thank you so much for your kind comment Melissa. I have sent you an e-mail about getting her for you.